As of the past few decades, technology has gained increasing traction and significance within our society. Few people get by nowadays without some sort of gadget. In fact, you wouldn’t be able to read this very web page without a computer or smart phone! All of these recent advancements couldn’t exist without the efforts of technological engineers. As an aspiring technology engineering teacher, you’re likely well aware of all of the benefits this discipline brings to our lives. You’ve gone through extensive training both in your field and in terms of the practice side of teaching to ensure you have all the knowledge and skill you will need in the classroom. However, you’ll need to prove you have what it takes to train future technological engineers through one final step: scoring well on the OSAT Technology Engineering exam. The OSAT is offered all over the state of Oklahoma to aspiring teachers of every discipline. Its purpose is to evaluate the readiness of incoming educators are to work in the classroom. If you are going to take this exam in the near future, you’ll need only the best study tools to help you prepare. To help, the Mometrix Test Preparation team is here with our OSAT Technology Engineering (043) practice test. This free study tool will prove ideal for anyone wanting to familiarize themselves with the exam’s contents. We have conducted only the most thorough research to ensure this practice test is accurate. 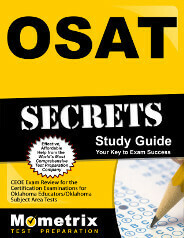 On the test, you’ll find a total of 81 OSAT Technology Engineering questions. One of these questions requires an essay (or “constructed-response”) answer. At only 15 percent of the exam’s total content, this test portion covers just one subject: Fundamentals of Technology. 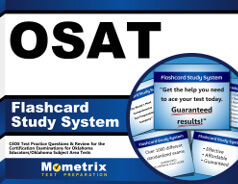 Our OSAT Technology Engineering practice test is an effective study tool whether used standalone or in conjunction with our companion study guide. Feel free to use one or both of these resources as you prepare for this important exam. Good luck!